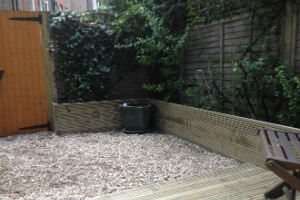 Gardening & Tree Surgery SW17 Tooting | Quality Property Care Ltd. Turn your garden into a special place in your entire outdoor space! Have expert residential and commercial gardening offer right now! Quality Property Care Ltd. promises you great final outcome and an exclusive client guarantee. Now call us on 020 3746 4287 phone number and receive additional info on how to various techniques you can improve your patio without even abandoning your chair! This is the most standard of all of the solutions we provide for Tooting SW17. In it we incorporate almost everything from lawn cutting, to hedge maintenance, tree surgery, planting and weeding, cleansing, watering, lawn care & mowing, weeding and weed removal, ivy & tree trimming from 9 to 12 feet in height also ivy or tree removal from 9 to 12 feet in height. 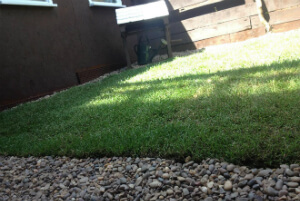 Regarding turf we can do the reseeding, patching, fertilizing, watering and edging, preserving your lawn in excellent condition or making your patchy lawn into a award winning, lush grassed land. We also do garden clearance as well as leaf clearance, we collect and remove of up to 180lbs of garden waste for free, for much bigger piles we charge extra as the fees are greater. This service is available, making it possible for you to reserve our expert gardeners at any time. We aim at providing you with a more attractive home, with healthy flowers, trees and various other plant life along with professionally serviced lawns, hedges and specially cut ivies. Once on location our gardeners enter thru the side door as to decrease the exposure of your house. If an entrance though your property is needed they would wear overalls and overshoes as to keep any grime from entering the house. They work proficiently and tightly with you to guarantee you obtain what you have called us for. To get a perfect lawn one need to take care of not just the soil, but also the lawn itself. Ordinary maintenance and trimming helps the turf to spread, create significantly better root systems allowing them to last longer, feed better and simply just be better looking. To achieve a incomparable lawn we use numerous techniques that enable us to inject the land with nutrients which give food to the grass. Ordinary trimmings are also in order, not just to maintain it short, but to also have the grass spread more, as indoor plants frequently do when not allowed to expand in height. We have autumn lawn care, springtime lawn care, summer lawn care, lawn aerations, lawn top dressing, lawn scarification, and lawn feeding. All those services can be utilized if our gardeners see that it is important. Quality Property Care Ltd. top ranked gardening company in Tooting SW17 follows the motto of individual approach + unique attention to details as the most effective formula for success. Besides regular lawn care, leaves cutting & clearance, the skilful gardeners additionally pay attention at speedy weeding, ivy removal, grass cutting for a far more eye-catching appearance of the garden, schrub, strick back, also cautious jet washing, edging, rotavating and levelling. As a consequence of such a sophisticated approach for decent and top-to-bottom garden maintenance, you will have an outdoor to admire with no efforts! Plus - our gardening services are affordable and low-cost! And you can certainly obtain the service at a regular basis or just once in a while. Appropriate for property owners, tenants, property owners, property managers, residential building owners, our professional gardening services in Tooting SW17 comes along with a special love to your backyard. We have the right formula for even the most neglected yards. The gifted gardeners from Quality Property Care Ltd. are told to perform adequate lawn mowing as well as lawn care: fertilizing, reseeding patches, watering, trimming. The service is just as ideal for autumn lawn care and spring lawn care. Lawn feeding and lawn aerating are always included in the service. To book a visit with a team of gardeners, you can phone the client care service at 020 3746 4287 or fill in an online booking require right away. You will have a written confirmation almost immediately. Booking our professional gardening services is per hr. The team will come and give you their estimation for the hours they will have to supply you with the required service. Booking is possible 365 days a year, and even in lousy weather conditions too. Have your outdoor space lovely and a fantastic place to spend more time! Book our professional gardening services right away!